Well spotted James - I hadn't noticed that! Must be great for people following Mister H who get a free windscreen wash each time he wants to clean his back window! I might try and fashion a substitute out of plasticard for scale modelling, but will have to see. I don't suppose replacements are easy to come by? Tricky to get hold of, but they do come up if you keep asking people who are breaking cars, etc. I'll have a go at making a replacement at some point this week. Speaking of breakers, what became of the 87 lakes car? Good point! I'll call them tomorrow! I see you are missing the rear wash wipe jet. 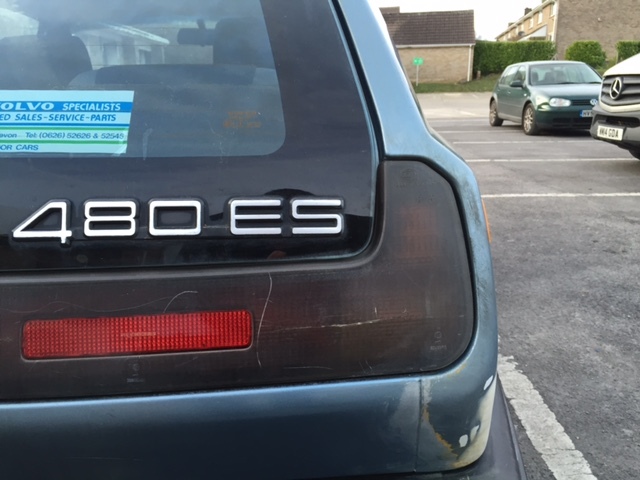 I don't know if that is an MOT fail. Jifflemon used to do MOT's, maybe he can confirm/deny this? Absolutely will not fail an mot. Neither would headlamp wipers if we had them! 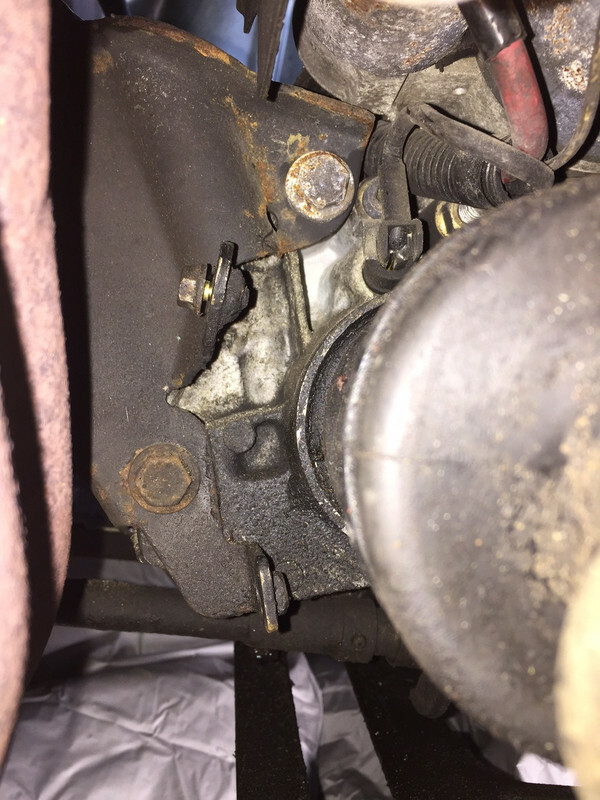 it would seem that there is nothing where the sensor should be, unless I am looking in the wrong place, but the Haynes Manual stated that it is on the right side of the transmission, which is that point of view. should there be anything there, or am I looking in the wrong place? 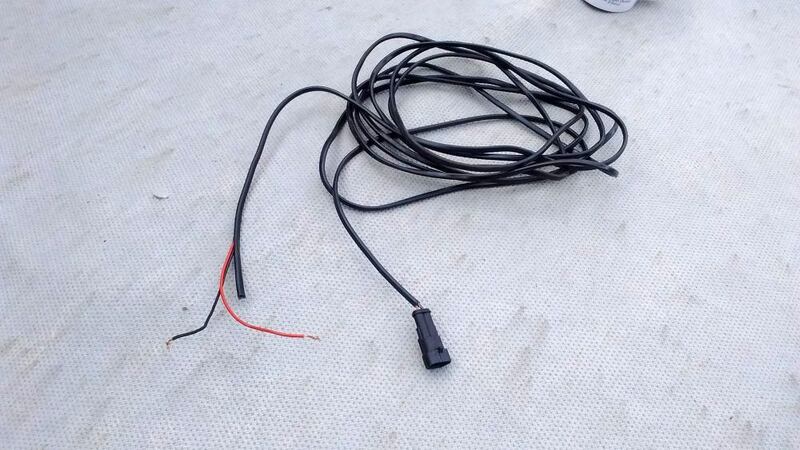 cable looks a bit 'twisted/contorted in it's route, I don't think that ours follows that way ???? it just sneaks up into the gap without the rubber cover???? 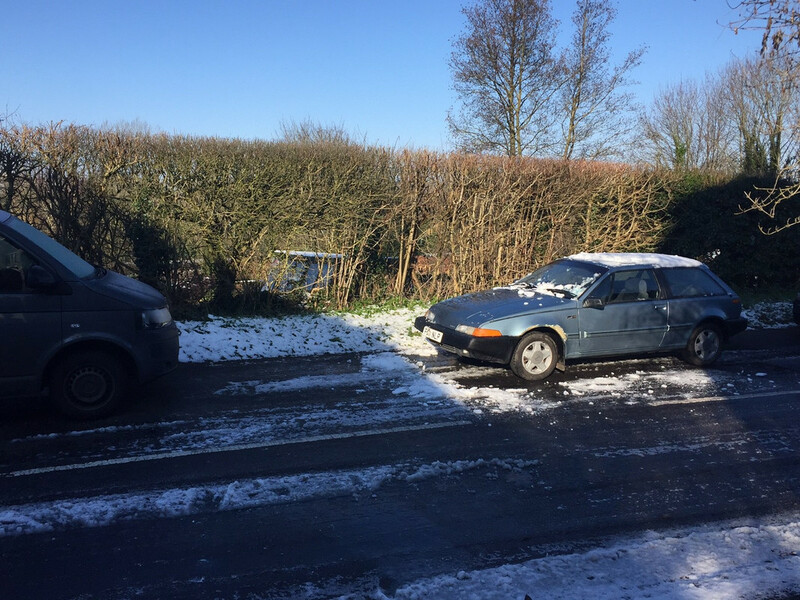 Dropped the car off at my local garage for an MOT yesterday following a snowy, icy introduction to the 2010's for the car. 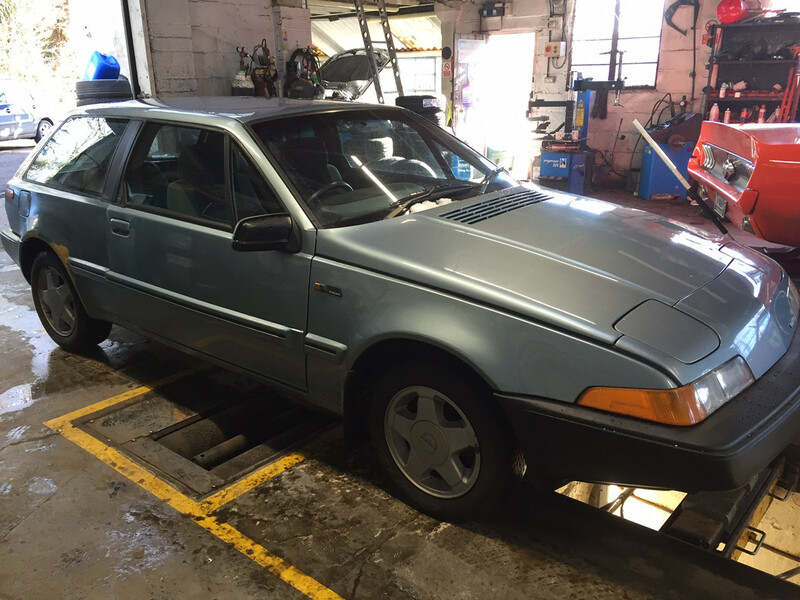 once the engine had warmed up, the car drove very smoothly and happily, and didn't have any issues on the road. at the garage, It was met with praise by our friend who runs the garage, he said that it was a straight car for what it is, to which I agreed. Under the car in the inspection pit, I smothered it in WD40 in all the drains and under the arches (It hasn't got any serious rust and the rear arches are near perfect, so I am not going to let that change now!) and had the first proper look underneath. It would appear that the front offside anti-roll bar could do with a change. I left the car at the garage for a cam-belt change and the completion of the MOT, and shall fill you all in on how that goes! You can check the resistance towards the sensor and the speedo head. 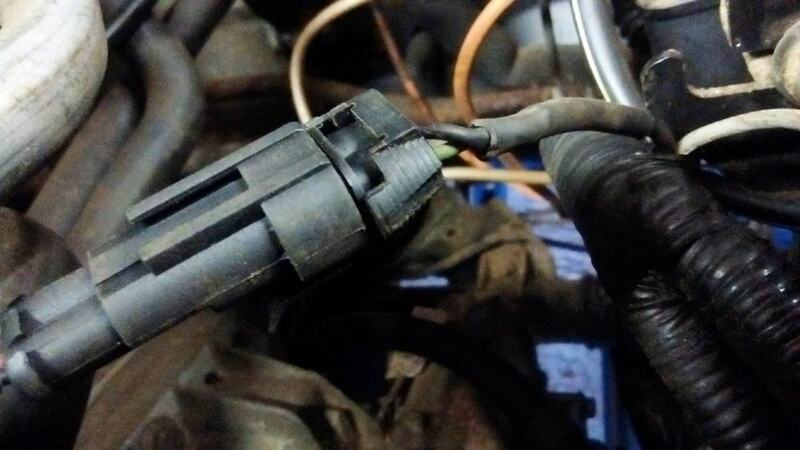 If you pull the grey speedo wiring plug you can test for continuity between the cable ends. 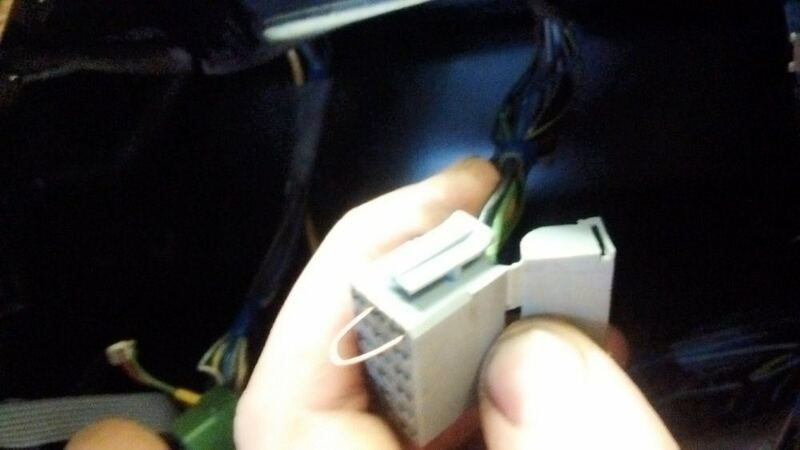 The cable is bad for the outer wire breaking. ahh, thank you, that is exactly what I have been looking for, when I get the car back Ill take a look, Thanks so much! I made up a test lead which I then used to replace the original cable. Although it looks like there as two wires (green and black) it is a coaxial type cable which you can just make out from my photos. 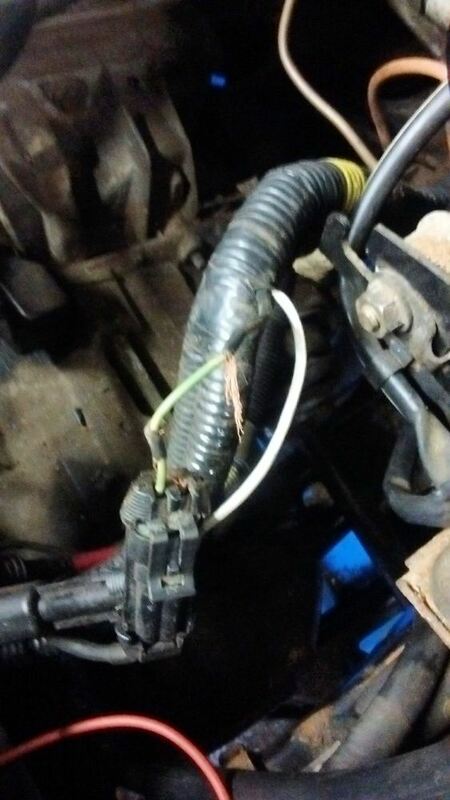 The Black cable becomes a braid wrapped around the insulation of the green. The braided wire on mine had broken in several places so I replaced with the two core cable as per my photo. 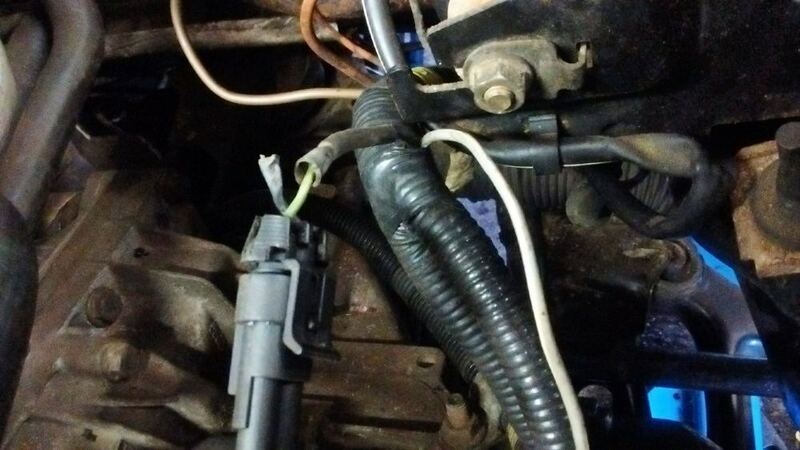 https://www.ebay.co.uk/itm/2ps-Auto-Car ... :rk:1:pf:1 2 pin connectors. Once you get your head around it is easy to see why it breaks. Called in very late on Tuesday and the car owner has gone very quiet apparently. He wasn't well. Sounds about right from what I heard over the phone, thanks for enquiring though. Good luck! Just in time for the May meet! Keep your eyes peeled on here. It should be announced soon by Sylvia (dragonflyjewels).